"Therefore go and make disciples of all nations, baptizing them in the name of the Father and of the Son and of the Holy Spirit, and teaching them to obey everything I have commanded you" (Matthew 28:19). The oneness of God is taught in the Old and the New Testament. 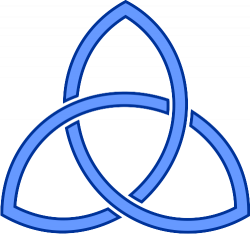 The triunity of God is suggested in the Old Testament; it is demonstrated in the New Testament. This is not a contradiction -- God is one in essence, and three in person. "Hear, O Israel: The Lord our God, the Lord is one" (Deuteronomy 6:4). The word translated "one" is echad. In the Old Testament, echad always refers to one in unity, and never to a singular entity. This verse affirms that God is one in essence, and does not preclude that God is triune. The Spirit is mentioned many times in the Old Testament; often in the context of speaking, moving, teaching, and leading. This indicates a distinction between God the Father, and God the Holy Spirit. Proverbs 30:4 is a powerful Old Testament verse for affirming the Deity of Christ: "Who has gone up to heaven and come down? Who has gathered up the wind in the hollow of his hands? Who has wrapped up the waters in his cloak? Who has established all the ends of the earth" What is His name, and the name of His Son? Tell me if you know!" The New Testament is clear that the Father is God, the Son is God, and the Holy Spirit is God. It opens with a powerful statement of Christ's Deity: "In the beginning was the Word, and the Word was with God, and the Word was God" (John 1:1). Likewise, the Deity of the Holy Spirit is clearly affirmed: "And we, who with unveiled faces all reflect the Lord's glory, are being transformed into His likeness with ever-increasing glory, which comes from the Lord, who is the Spirit" (2 Corinthians 3:18). There are three co-equal persons in the one Godhead. The word person must not, however, be understood in an anthropomorphic sense. Only the Son has a glorified, physical body. By the term person we mean that each member of the Holy Trinity possesses the attributes of personality -- knowledge, will, and emotion; yet the Father, the Son, and the Holy Spirit each exist within the essence of the one true God. The foundation upon which every cult is built is a false view as to the nature of God. Practically every cult denies the Christian doctrine of the Trinity -- a doctrine based upon the clear teaching of Scripture. Occasionally cultists will use the term Trinity, but will redefine it to fit their own heretical theology. As finite creatures we cannot hope to fully comprehend an infinite God, but we can apprehend God's truths as revealed to us through the Scriptures. That God is one in essence and three in person is an essential doctrine of the Christian faith; it cannot be compromised.